This is it. E3 is next week—this weekend, really. I’m heading down to Los Angeles tomorrow morning and then EA kicks things off Sunday afternoon with the first press conference. So many trailers. So many games. So many sequels. Maybe a new property or two? Hell, we already got one this week. Saints Row developer Volition unveiled its new game Agents of Mayhem. That, plus The Witness goes 8-bit and The Division adopts a take-no-prisoners attitude towards cheaters. This is gaming news for the week of June 6 - 10. Okay, maybe you don’t care about E3 and you’re just looking for a way to kill your entire weekend. If that’s the case, PCWorld’s 2014 game of the year Wasteland 2: Director’s Cut is free to play on Steam from now until Sunday afternoon. That’s probably not enough time for you to complete the whole game and clean up the Arizona desert, but if you dig it you can snag it and keep playing for 50 percent off. There’s also WildStar. After going from subscription MMO to free-to-play MMO last year, the game took the next logical step this week and expanded onto Steam. Volition’s latest game is apparently set in the Saints Row universe but is not titled Saints Row. Supposedly. There seem to be rumors this is all misdirection and it’s secretly a Saints Row V anyway, but I’m sure we’ll know more after E3. For now, here’s the superhero-laden announcement trailer for Agents of Mayhem. It seems like every year Cuphead makes an appearance at E3 and then disappears again. Well, it’s back—and much larger, maybe. Last we heard the game was supposed to be one boss battle after another, but an IGN video now shows off what looks like some actual platforming sections. Interesting. This is not the news I’d hoped to hear, but: Now that Quantum Break is out, Remedy is working on two new games. Neither of those games is an Alan Wake sequel. Commence weeping. Ah well, it’s Remedy. I’m sure whatever they make, I’ll enjoy—though I hope the PC port is given a bit more love next time around. It’s been over a year since the release of Homeworld Remastered, but the game’s still receiving updates—quite a big one this week. Dubbed Homeworld Remastered 2.0, the game’s receiving a full re-balance and tweaks to make formations work more like they did in the original. Check out the detailed patch notes here. Since launch, The Division’s been lambasted on PC—not necessarily because it’s a dull grind (it is) but because the high-level PVP “Dark Zone” is completely infested with cheaters and other ne’er-do-wells. The same once-and-you’re-banned policy has been instituted in Rainbow Six Siege also. Rare might be working on pirate-y game Sea of Thieves, but Rare alumni are working on Banjo-Kazooie spiritual successor Yooka-Laylee, and the “E3 2016” trailer is already out even though...well, yeah. Maybe it traveled back in time from next Monday’s press conferences. Torment: Tides of Numenera has been delayed into 2017 to polish up localization. Can’t say I’m surprised, though I still remember when I naively thought this game would release in 2015. Hopefully the extra time helps make it a worthy successor to Planescape: Torment. I’m not a huge fan of the card game buried in The Witcher 3, “Gwent,” but apparently it’s the hottest new property on the block—so hot that CD Projekt filed trademarks for Gwent: The Witcher Card Game this week (via Nerdleaks) and it looks like it’s headed for a standalone release. It’s an industry pastime to port games to ridiculous platforms—Doom on an ATM comes to mind. 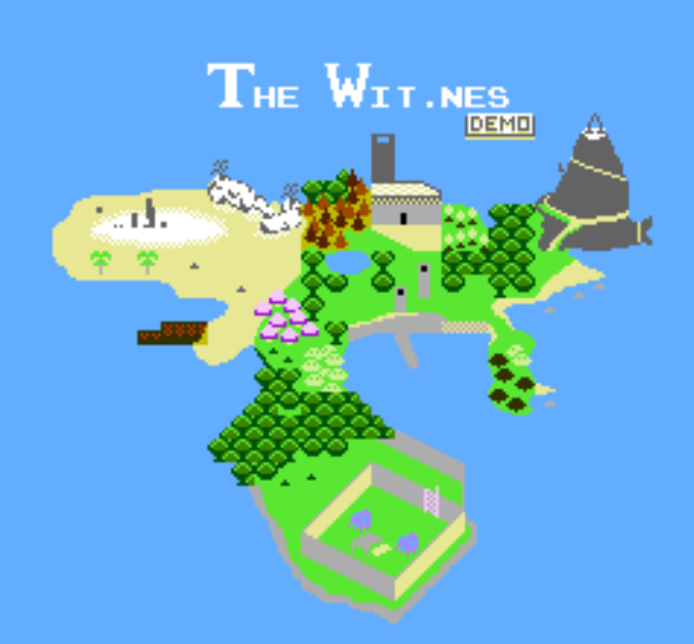 That being said, I’m still pretty impressed someone ported (part of) The Witness to the NES this week, and gave it the clever title of Wit.nes. 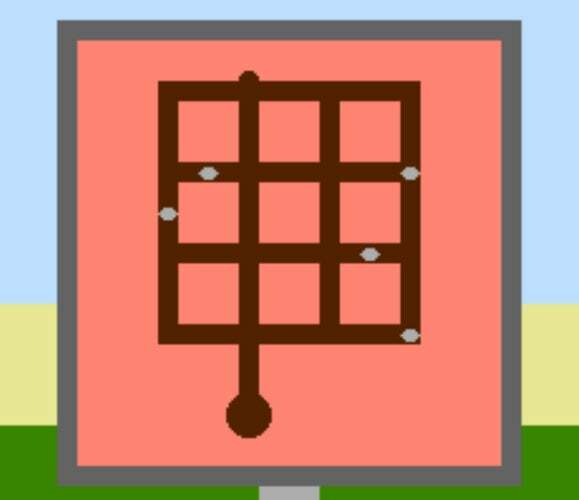 And I do mean “ported it to the NES,” as in “You’ll need an NES emulator in order to play this ROM file.” Check it out on the developer Dustmop’s itch.io profile.